Notice: This is only a section of a study called "Why you need to do your own research." Please read the introduction first. 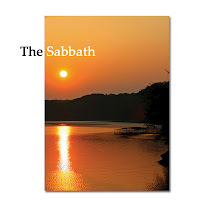 Jack Gent is probably most famous for his booklet, “God’s Rest” which speaks about the Seventh day Sabbath and of the Sabbath rest found in Jesus Christ. While there may be some things in this booklet we might agree with, most of it has long been responded to as a book containing doctrinal errors. (click here for a response to this booklet). We have found that not only has some discrepancies been found in this booklet, but also in other writings of his as well. The former we feel falls under our disagreement on doctrine, but the following shows why we are reluctant to accept most of what he has to say in the first place. 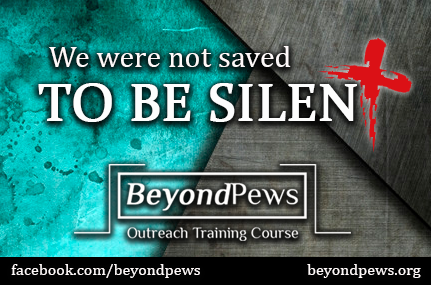 The following research was conducted by our friends at ellenwhite.info. 1. Dwight L. Moody was born on February 5, 1837, and therefore had just turned 12 at the time of Ellen White's vision. 2. Ira D. Sankey was born on August 28, 1840, and therefore was still 8 at the time of the vision. 3. Moody began missionary work in 1860, 11 years after the vision. 4. Moody met Sankey in 1870, 21 years after the vision. 4. Moody met Sankey in 1870, 21 years after the vision." I wanted to ask you if you could, if possible, tell me where you got all this information from? "I believe that we now have studied enough of her teachings and the proof of its source that some of it was undeniably received from deceiving spirits." Should we now say the same of his teachings? Hear this, you who trample the needy and do away with the poor of the land, saying "When will the new moon be over that we may sell grain, and the Sabbath be ended that we may market wheat?" ... skimping the measure, boosting the price and cheating with dishonest scales . . .
"In that day," declares the Sovereign Lord, "I will make the sun go down at noon and darken the earth in broad daylight. I will turn your religious feasts into mourning and all your singing into weeping." Would just abolishment of the ceremonial feast days allow them to begin marketing wheat on the Sabbath? No! This would require the abolishment of the fourth commandment for God to allow this to happen without penalty. Do we have any record in the Scriptures that met the requirements as to when this ever happened? At the sixth hour (Noon) darkness came over the whole land until the ninth hour (3:00 PM) and at the ninth hour Jesus cried out in a loud voice . . . "My God, My God, Why have you forsaken me?" Vs. 37... With a loud cry, Jesus breathed his last. This would clearly indicate that they could now start marketing wheat on the Sabbath without penalty. It is very and precisely pinpointed to the time of Christ's crucifixion. We constantly get told that the only thing we have to say when confronted by our opponents is that they are taking things out of context. But here’s a perfect example as to why we have to say this! If only Mr. Gent would have looked at verse 4 a bit closer, he would have noticed the word “saying.” Who are the ones saying “when will the new moon be over… and the sabbath be ended…” ? It is the wicked! By not considering the context, Mr. Gent inadvertently sides with the wicked in order to make his point! 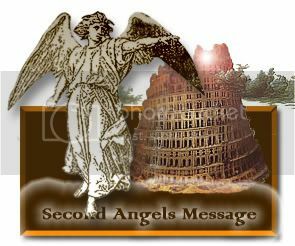 (3) And the songs of the temple shall be howlings in that day, saith the Lord GOD: there shall be many dead bodies in every place; they shall cast them forth with silence. He attempts to connect this chapter with Mark 15:33-37 but, where in all of chapter 15 do we read of “many dead bodies” in “every place?” We only have Jesus who dies first, and two thieves who get their legs broken after. I suppose you can say that “three” is many, but were they really in every place? On the contrary, they were only in one place… Golgotha. The honest bible student will conclude that Amos was actually predicting the fall of Israel by the Assyrian king, which is why chapter 6 verse 14 says a “nation” would come and take Israel captive “forth of his land.” –chapter 7:17. And that the reference to the going down of the Sun in chapter 8 verse 9 (unlike Mark 15:33 compared with Luke 23:45, which says the Sun would be darkened, theres a differance) is simply a description of how dark and terrible that day would be for the nation of Israel (see Amos 5:20). Can you really blame us when we tell you that your taking things out of context? Does your name also equal 666? Mr. Gent made a boo-boo in his book. We will make the same mistake below. 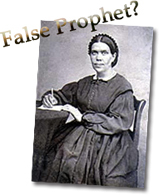 Well no wonder he now opposes Ellen White, he believed her writings were above the bible! If only he didn't start off that way, perhaps he would have a different position today. (18) Here is wisdom. Let him that hath understanding count the number of the beast: for it is the number of a man; and his number is Six hundred threescore and six. ... we feel that, in light of what the verses actually say, God probably wouldn’t of had a problem allowing this, since all it takes is for one to study and acccept "every" characteristic of anti-christ, and not just one. 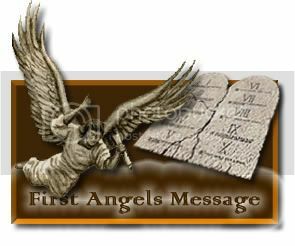 Could Mr. Gent really say, that out of the thousands of godly men and women for the passed 2000 years, not one of their names can be added up to 666? 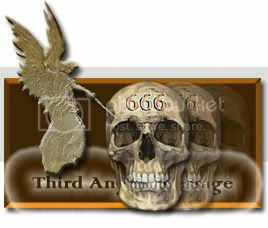 And if some of those did add up to 666, was God therefore warning those around them to stay away from that individual? This is very bad reasoning, for there are many godly people out there whos name might just add up to 666 as well. The same way Mr. Gent did not do his research with respect to Ellen Whites name, we won't do our research with respect to his name. We will assume that Jack Gent's middle name is “sabbath.” We chose this word because of Jack Gent’s booklet "God's Rest." Now if his name were spelled, “Jack S. Gent” and calculated in, oh lets say, ASCII code, what will we get? I'm sure Jack Gent considers himself a God fearing individual. Why would God allow his name to add up to 666? Unlike Ellen White, Jack Gent is a man, another description of antichrist. Perhaps... "if God selected Jack Gent, he would not have allowed him to be saddled with this onerous marker" either. Of course, his name can only add up to 666 by assuming that his middle name is “sabbath.” Should Jack Gent have considered that his reasoning on Ellen White's name can also apply to other godly people? Did Jack Gent forget that the name Ellen White was born with was actually Ellen Harmon White? Should Jack Gent have done just a bit more research with respect to names? If he can "assume" things, why can't we?